What is Basil Oil ? 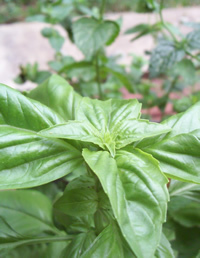 Sweet Basil essential oil has a fresh, green, spicy fragrance that is inviting and refreshing. It is distilled from the flowering plant and is light greenish-yellow in color. Basil oil has the stimulating properties of mint, and is in the same plant family. Basil is a great oil to burn in aroma lamps while working or reading, it helps you to concentrate and uplifts your mood. It is uplifting, clarifying, and strengthening. With basil's stimulating and energizing properties, it is used to improve appetite and can gently refresh the body and mind. A point of interest is that it can be used as an insect repellent. However, if you are too late, use a few drops of the essential oil to take the sting out of the insect bites. Basil blends especially well with bergamot, clary sage, rosemary, geranium, and the citrus oils such as lemongrass, or lime. 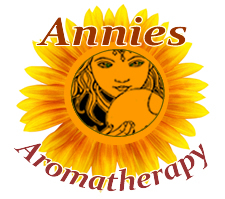 It is a lovely mood enhancer and one of my favored additions when putting together a mind clarifying blend for the aroma lamp, diffuser, or mister. Diffuse basil essential oil in an aroma lamp to lift depression and clear the air in a stuffy room. Basil is one of the best loved culinary herbs for good reason. Basil improves appetite and like other herbs in the mint family it settles the stomach, improves appetite and is a natural disinfectant. Botanical Information - Rituals & History : Basil is a highly aromatic plant originally native to India and other tropical regions of Asia. Yet, there are now about a hundred and fifty varieties found throughout the world. The sweet or bush basil, Ocimum basilicum,, is the one most used for essential oils and also its leaves are used as a wonderful herbal condiment in the kitchen. Basil is originally native to India and other tropical regions of Asia, having been cultivated there for more than 5,000 years. Basil did not reach Europe until the sixteenth century.